Professionals in every vocation covet a certification awarded by a governing body. Why? It’s a clear indication that the person holding that certificate is among the most highly qualified in his or her field. Certification is a clear indication that the person holding that award has participated in additional training and/or has passed standardized qualifying and performance exams. This immediately distinguishes him or her from others who may be practicing in the same field. A certified professional usually enjoys not only more prestige but usually higher pay as well. In order to become certified, certain strict uniform requirements must be met. Some organizations will certify you if you simply pass a comprehensive set of tests and measurements. Others will certify you only after you receive very extensive formal training AND pass an equally comprehensive set of tests. There are only a select few organizations that issue Certificates on RV Service and Repair in the United States. RVSA has been issuing this Certification continuously and longer than the others (Since 1986). RVIA and RVDA have only issued since 1995. 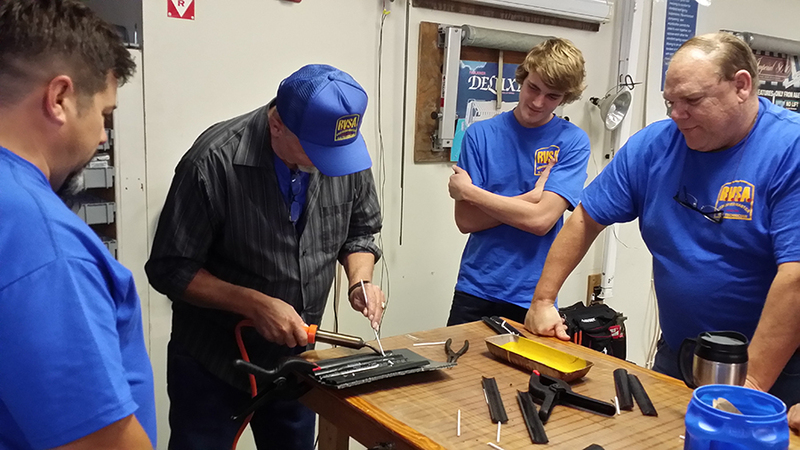 At our RV technician school, we have been training and certifying RV Technicians since 1986. We will certify only those technicians who take and pass our hands-on and written courses of study AND pass the very comprehensive final examination. 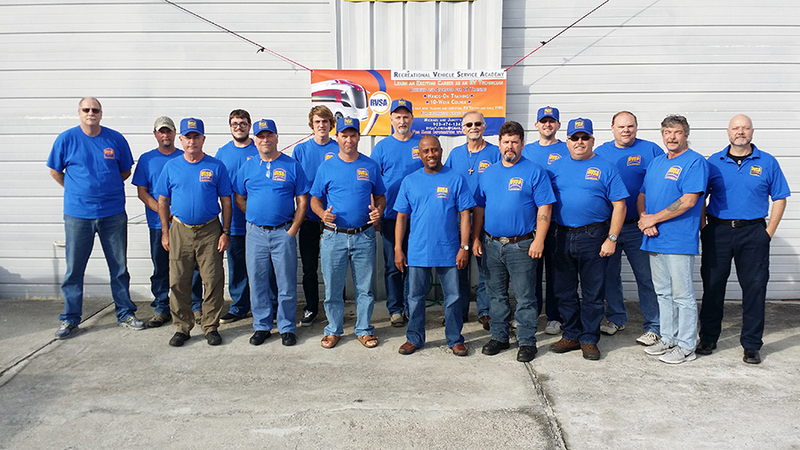 We are confident that the RV technician training program offered is so thorough and complete that we will award you the highest certification possible, the designation of “Master RV Technician,” after proof of one year of successful full-time RV service performance after graduation. We do not force you to wait for five years or more before issuing this Master Certificate*. 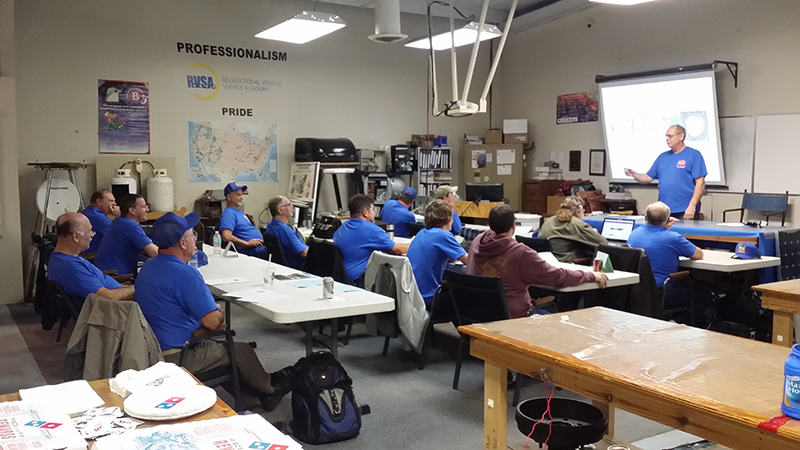 RV Dealers throughout the nation and Canada, both large and small, recognize the high quality of the RVSA training program and the professionalism of those who work so hard to earn our RV Technicians School Standard and Master RV Technician Certificates. *After proof of successful (post-graduation) 1-year, full-time RV service performance.